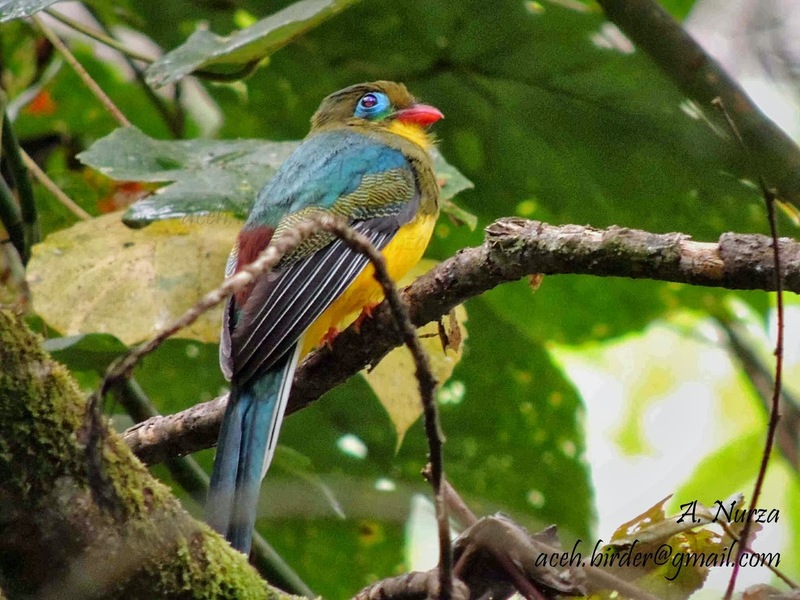 Gayo Highlands Birding Tour...it's more than birding! The four big Gayo area's are each concentrated around a lake of river valley and are bordered by high, forested mountain slopes. The area around Danau Tawar (Lake Tawar) in the north is the most heavily populated, especially around the most important city of Takengon. The four big Gayo area's are each concentrated around a lake of river valley and are bordered by high, forested mountain slopes. The area around Danau Tawar (Lake Tawar) in the north is the most heavily populated, especially around the most important city of Takengon. The Sumatran Laughingthrush (Garrulax bicolor). 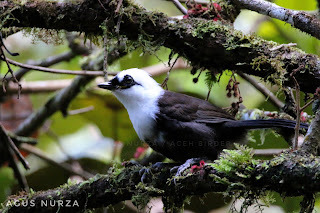 One of the rare Laughingthrush in the world. It is endemic to the island of Sumatra. Around Sea Freshwater Lake, you can see the Gayo people that farming and fishing. An activity that has become part of everyday life in communities around the lake. Commodity grown in the highlands Gayo Gayo is coffee (Coffee arabica), which is very famous in Japan. If you want to feel the Aceh coffee directly from the source, you can find it in the Gayo region. Schneider’s Pitta (Pitta schneideri). This enigmatic ground-dweller is classified as Vulnerable because it is precautionarily judged to have a small population, which is likely to be declining as a result of on-going habitat loss and degradation. Pitta schneideri is endemic to the island of Sumatra, Indonesia. Photo taken in Gayo Highlands. The Gayo Highlands consist of the mountainous central part of Aceh, an isolated area which is cut of from the surrounding coastal plains by the rough peaks of Bukit Barisan. This is the habitat of about 250,000 Gayo, a dynamic population with an own language, lively traditional art and a high level of education. Takengon is the capital of Central Aceh district. It sits to offer you a handful of rareness you must see. The food is unique and it’s worth noting. Agro-tourism and activities around the Lake Laut Tawar (sea of fresh water) are the reasons to extend your stay. Not to mention the legend of a princess that turned into stone with her observable unseen guards. It is far from nonsense when we mention in the first place that Aceh is truly a spiritual gateway to Indonesia. Danau Tawar is the most recreational area for the residents of Takengon, and it's also a resource of money. The lake is bordered by steep cliffs along three sides, with peaks up to 2.400 to 2.800 meters. From the city several paths lead onto the slopes. Since the 1930's the highlands are the centre of the vegetable- and fruit production, tobacco and coffee. On the market handicraft is sold. The Gayo women use a number of baskets for storing their ingredients. Men and women make difficult kerawung-patterns on fabrics. In fact Gayo people have their own culture, dialect, art, and value system. It is very different with Aceh culture particularly. In the past, Gayo was a kingdom apart from ancient kingdom of Aceh. The beautiful Gayo Highlands deep in the interior of Aceh are ripe for off-the-path picking. This is coffee country, cool and mountainous with spectacular vistas drifting in and out of focus between cool morning mists. In Simpang Balik, a town 15km north of Takengon, there are several hot spring pools. The concrete pools are fiiled with steaming sulphorous water and are said to help heal many ailments and ease aches and pains.There are seperate pools for men and women. Start/End: Rembele airport/TXE (Wings Air) of Takengon and or Malikussaleh airport/LSW (Garuda Indonesia Airlines & Wings Air) of Lhokseumawe. Aceh is a Great Birding Spot area for Sumatran Endemic Birds. Gayo Highlands birding tours and combined birdwatching and wildlife holidays as a new birding destination in Sumatra. Because the Gayo Highlands is a wide range of eco-system Leuser, there are river systems, volcanoes and lakes. This rainforest is immensely biodiverse, hosting approximately 700 different species of animals - more than 175 mammals, more than 320 birds, 190 reptiles and amphibians. Tigers, leopard cats, siamangs, Thomas leaf monkeys, macaques, gibbons are just a handful of the thousands of species found in this unique eco-system. 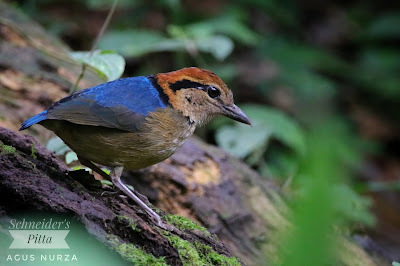 Birding - BirdWatching and Wildlife Photography Tour in Gayo Highlands!. The best birds and other wildlife in Sumatra, and the best places to see the best birds and other wildlife in Sumatra. We make easy to watch some Sumatran Endemic Birds. We also have a fantastic series of birding and wildlife expedition that will take you to some of the endemic bird of Sumatra. The Gayo Highlands will also give us the opportunity to see a wide variety of Indo-Malayan species, from the broadbills, trogons and hornbills of the many montane species that inhabit the highland forests. It's a new of the best wildlife spot in Sumatra. Day 1: Lhokseumawe-Takengon: Arrive in Lhokseumawe Airport, meet and greet and then depart for Gayo Highlands, part of Leuser Ecosystem of Gunung Leuser National Park, in about 4 hours drive time via plantation road. Arrive in Takengon , check in to Hotel.